In the fall of 1970, Joyce Greathouse stepped onto Montevallo’s brick campus as a freshman eager to enter the medical field. One year later, John Butera stepped onto the very same campus as a freshman engineering major. They first met in their precalculus class, and while they dated a few times in the spring of 1972, that was presumably the end of their story. 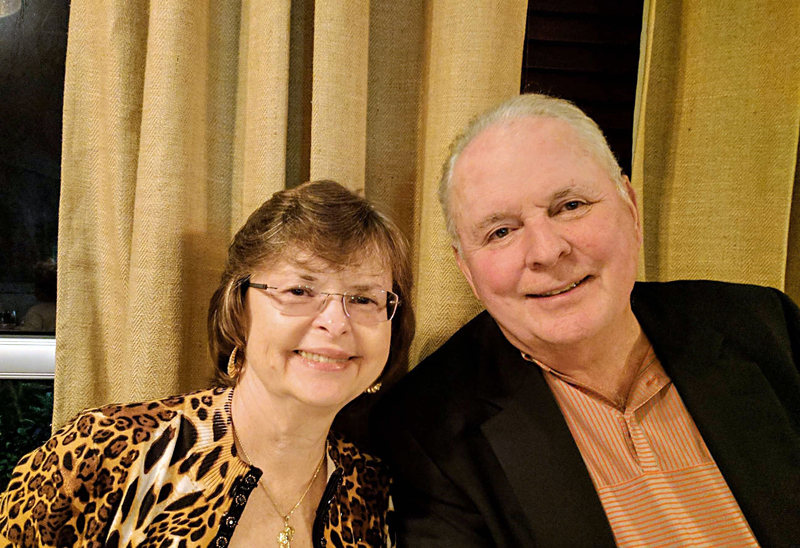 While Joyce cherished her two years at Montevallo, she transferred to Auburn University to take advantage of their laboratory technology major. She spent the summer at the University of Georgia doing research, and then left Montevallo, and John, behind. He remained at Montevallo for another year, before transferring to Auburn himself for their building sciences major. The two were on very different paths, and while they once again shared a campus, they didn’t reunite. Joyce graduated and began medical school at the University of Alabama in Birmingham. After doing her residency in Dallas and a fellowship in New York, she came back to Birmingham in 1986 to work at Carraway Methodist Medical Center. In 1991, 19 years since their short-lived spring romance, Joyce received a phone call from John. He’d been looking through his Montevallo Alumni Directory, saw Joyce’s name and wanted to reconnect. Their paths finally met, their lost Montevallo romance was rekindled and two years later they were married. Joyce now works in Panama City, Florida and John is building them a log home in Big Sky Ski Resort, Montana. Next year in August, 2018, they will celebrate their twenty-fifth wedding anniversary. Their gift supports the University’s comprehensive fundraising campaign, The Campaign for the University of Montevallo: It’s About Family, a multi-million dollar investment in the knowledge, expertise and values that Montevallo graduates take into their lives and into their professions. For more information contact Comprehensive Campaign Director Gary Johnson at 205-665-6217.